1 x 3 Basketweave mosaic is ordered by the square foot. It is assembled into sheets approximately 17 1/8″ tall by 8 5/8″ wide (1.03 square feet per sheet). 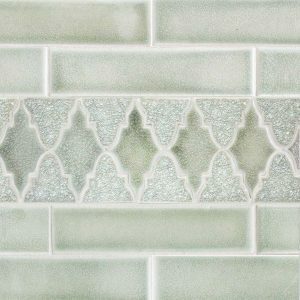 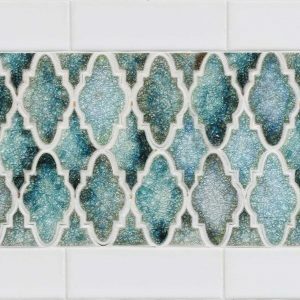 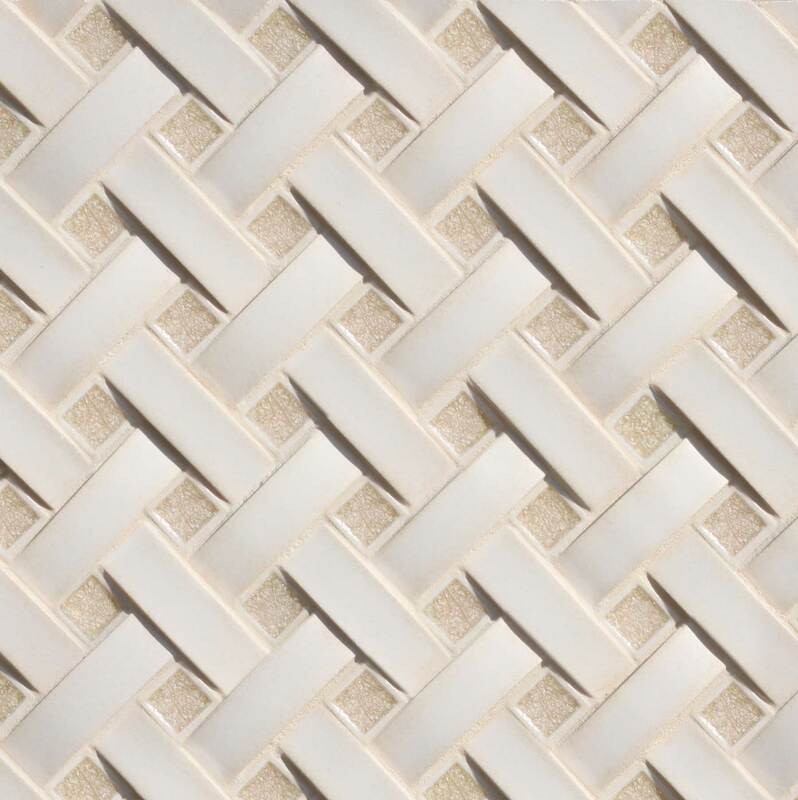 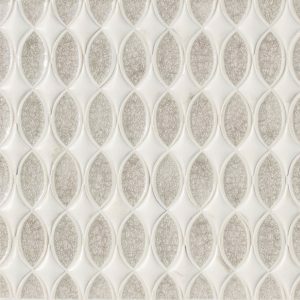 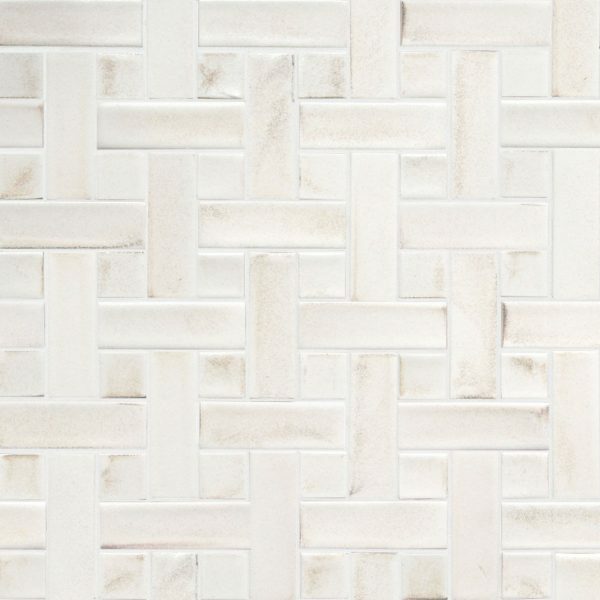 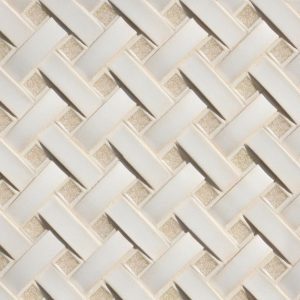 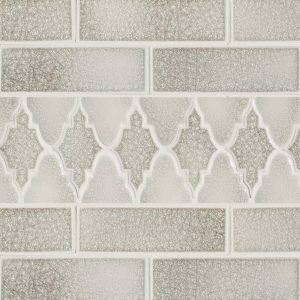 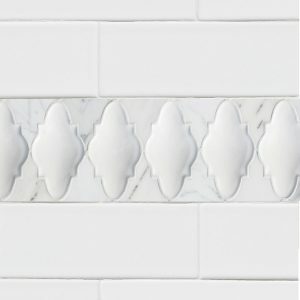 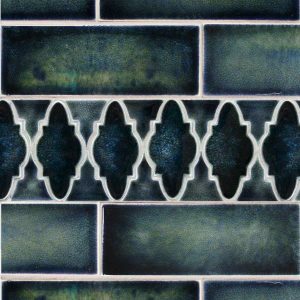 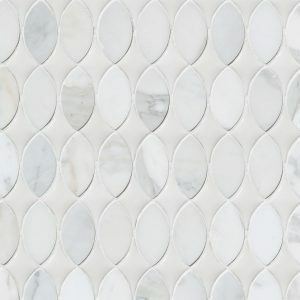 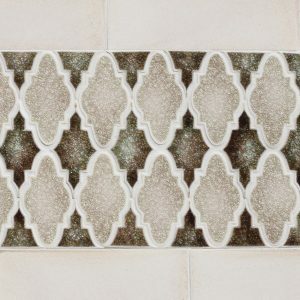 1 x 3 Basketweave mosaic is shown here in Chic matte glaze. 1 x 3 Basketweave mosaic is shown here with 1 x 3 dimensional in Capri matte and 1 x 1 in Champagne jewel.